So, the test of OPLL (MSX-MUSIC) including two FPGA imcplementations is ready. Thanks for taking the time to test them! 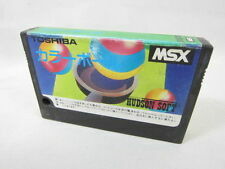 By the way, the page still says "MSX PSG test" at the title. GR8NET's MSX-Music and MSX-Audio were developed from the scratch (and I will never stop thanking wouterv for his time and expertise). I deliberately designed some things differently - for example, envelope is "drawn" using Bresenham's algorithm, and sound amplitude change is smoother by design. And do not forget that just after the birth GR8NET did not have any audio, and it was not planned to have audio at all! Interesting, this is directly contrary to many others, since the panasonics were supposed to have great sound. To be honest i'm perfectly happy with the sound from my sanyo as well, although I dont have anything else to compare it with. Unfortunately it has a problem with FPGA SCC, and psg might be a bit on the loud side but it never bothered me. I will listen tomorrow. Those computers are old. I'm not too into hw so i can't replace all capacitors or so. This might be the issue - i'd like to hear the recording from other A1WX of the same track, to compare, if anybody would be so kind to record it. It was track 07 from Laydock's soundtrack vgm rip. I think you make most chance when making a moderator alert (on the OP). I like the MFR sound better than the WX one, but I was surprised at how bad the Carnivore sounds. 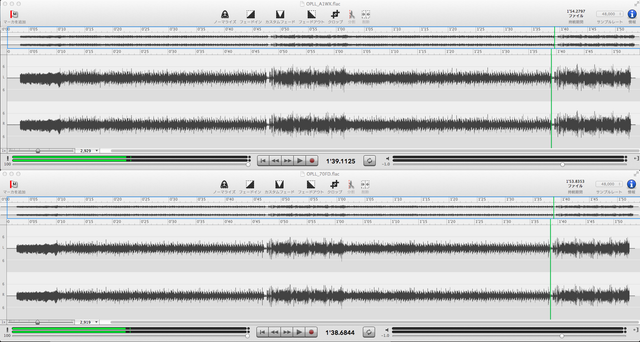 Rounded waveforms, muffled frequencies, really bad. I would like to see more varied samples, especially with more volume variation and some noise as well. I made a video comparing a real SCC, MFR SD and Carnivore 2. Also a real FM and Carnivore 2. You have probably reversed the carnivore file with the MFR file. The FM sound of the A1WX is to me better than the 70FD by ear, 70FD FM sound is globaly a little attenuated (more or less once in a while), and my impression seems confirmed when I view them. We were talking about PSG sound, it is possible that it is different for the SCC. Probably the PSG and SCC implementations are the same (made by Kazuhiro Tsujikawa). The only difference is the mixer/filter.